Handlebar Mustache: Pro Cycling Team Kits: Time to get AWKWARD! 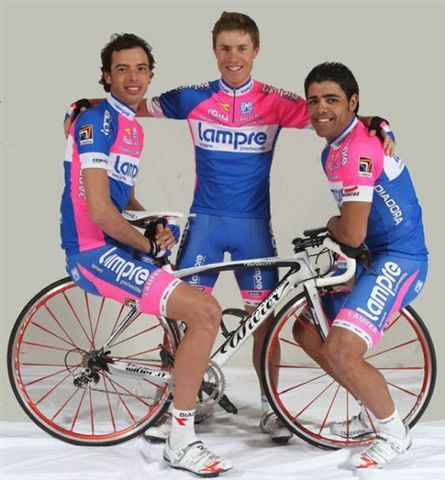 Pro Cycling Team Kits: Time to get AWKWARD! It's that time of year when we begin to see team kits being revealed. It's also the time of year when we get some very awkward pics taken by photographers with an odd eye for what will make it "the shot". This one is brand new. You in the middle ditch the shoes. Closer...closer...closer right there. I know money is tight, but no sponsor is worth this! Ummm...yeah I got nothing; I will let this one speak for it's self. Don't know about you, but I am awaiting the pics of Team Crotch Eagle's new kit & Nissan Trek Shack's team presentaton! I can see it now The Schleck brothers showing up with scarves blowing in the breeze in a convertible 300Z wrapped to look like a dolphin. I hope you enjoyed the pics! Check out our cycling T's, Hoodies & Kits at www.hbstache.com Use PROMO code: Holiday20 for 20% off on T's & Hoodies!